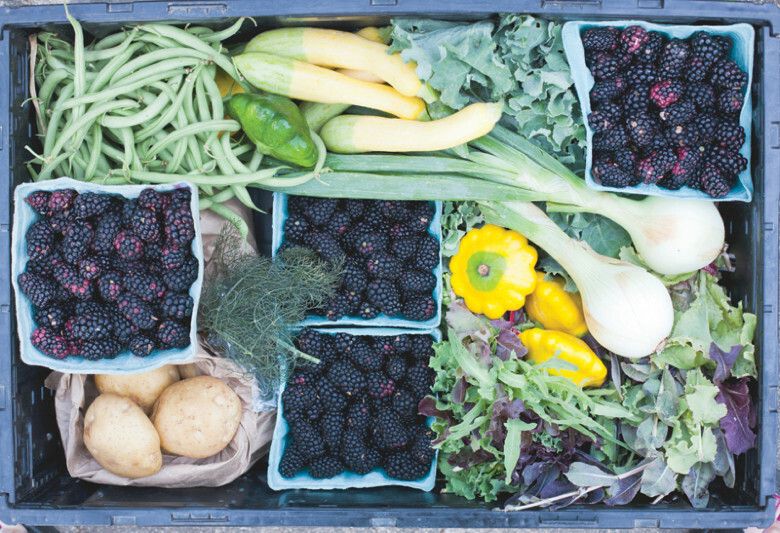 Springtime is here, and we're so ready for the bounty of fresh produce the warmer weather will bring. April showers bring May produce—and maybe some flowers, too. 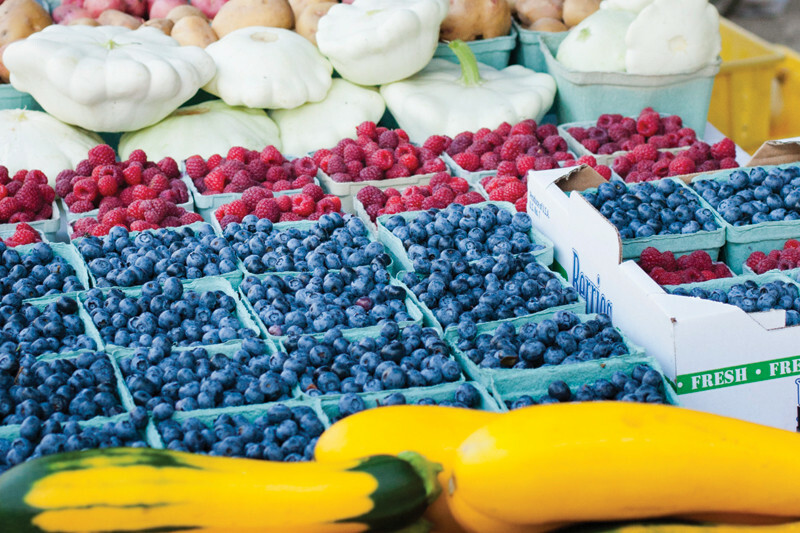 Shopping at your local farmers market is not only tastebud-friendly, it’s also a great way to support your local growers, discover where your food really comes from and help the earth by reducing shipping costs. Grab your reusable grocery bags and head to one (or more!) of these local farmers markets. 1. 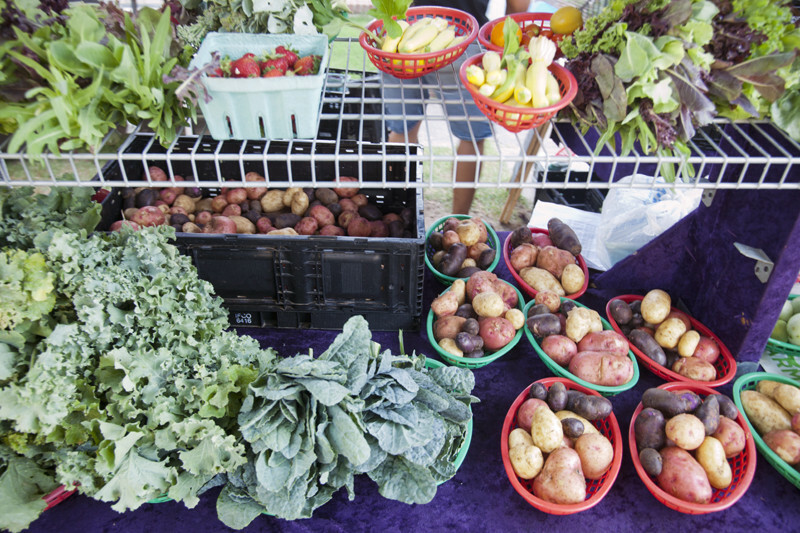 Westover Hills Farmers Market: This Tuesday afternoon market offers a wide variety of fresh produce in season, including locally-grown vegetables, fruit, flowers, pasture-raised meat, poultry and dairy, and locally produced jams, jellies, bread and candy. 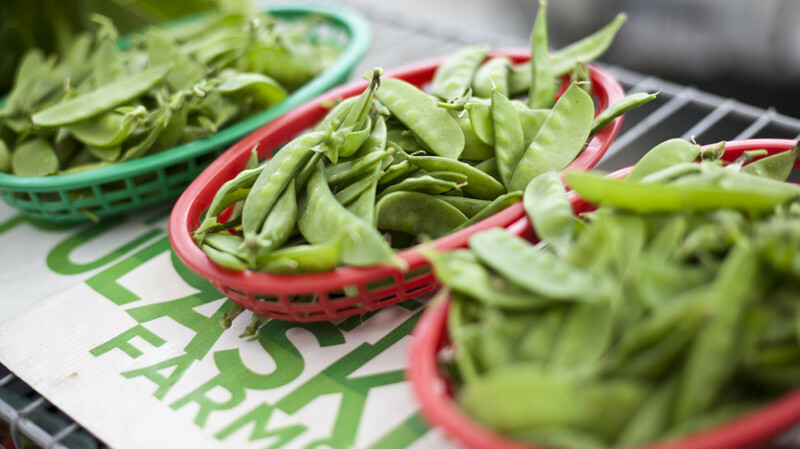 Market is open May-August; hours are 3:30-6 p.m. each Tuesday. Located at 6400 Kavanaugh in The Heights. For info: 501-420-4132 | Facebook. 2. Bernice Garden Farmers' Market: Sunday shoppers can pick up sustainably-raised and -grown produce, cheese, nuts, salsa, soap and more at this hip market in SoMa. Scope out the public art and sculptures in the surrounding garden, listen to live tunes, and treat your family to a snack from Boulevard Bread Co. or a participating food truck. Open April 14-Nov. 3; hours are 10 a.m.-2 p.m. each Sunday. Located at 1401 S. Main St., Little Rock. For info: 501-617-2511 | Facebook. 3. Little Rock Farmers' Market: This mainstay has been serving up fruits and veggies in Little Rock's River Market for more than 40 years. 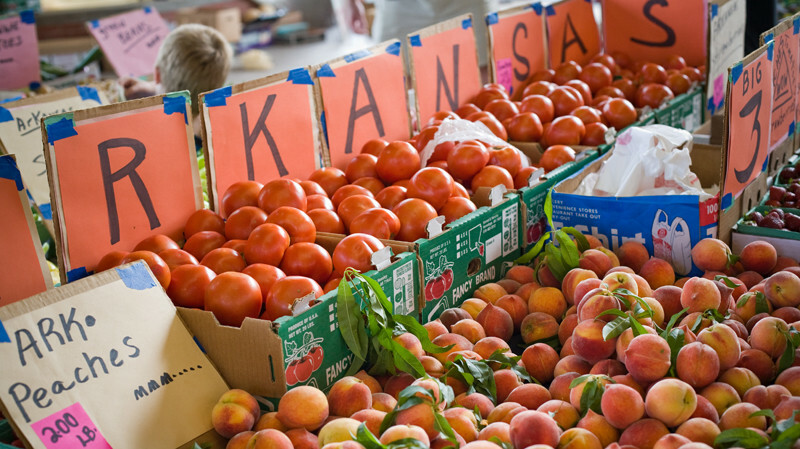 Find bargains on fresh Arkansas crops, as well as a bountiful array of handmade arts and crafts. 4. Market on Merrill: Market on Merrill is a place of connection for rural and urban community folks. Special events and activities will occur on market days and throughout the year. Opens May 2; 8 a.m.-2 p.m. every Thursday. Located at 1525 Merrill Drive, Little Rock. For info: 501-351-4131, Facebook. 5. 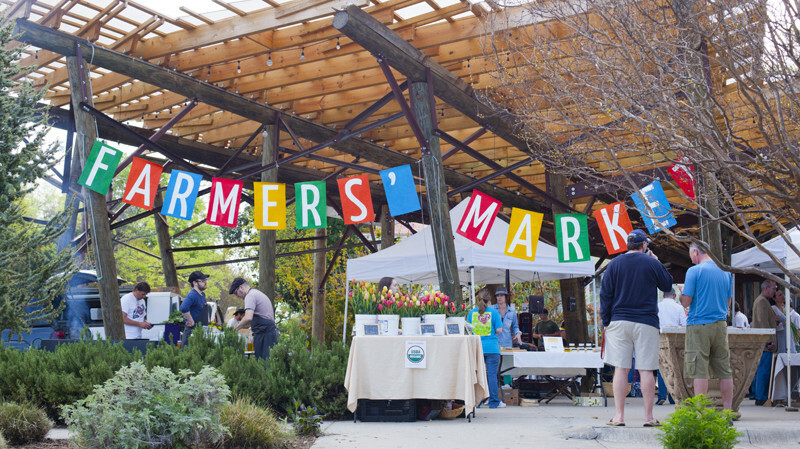 Hillcrest Farmers Market: Little Rock’s only year-round farmer’s market! Stroll down Kavanaugh Blvd. on Saturday mornings to survey all-local honey, greens, nuts and granola, eggs, bacon, dog treats and more. Plus, visitors can enjoy brunch at one of the regular food trucks. Open year-round; Saturdays 8 a.m.-noon from October-April and 7 a.m.-noon from May-September. Located at 2200 Kavanaugh Blvd., Little Rock. For info: 501-661-1129, Facebook. Barnhill Orchards in Lonoke is a family farm established in 1980 by Bob Barnhill. You'll find the family selling a large variety of fruits, veggies and greens at several Little Rock markets; see what's in season at BarnhillOrchards.com. Geek Eats produces hummus, pesto and granola. Made in North Little Rock by a husband-and-wife team, you’ll find yourself addicted to snacks like Carrot Curry Hummus, Rosemary & Black Bean Hummus and Cilantro Almond Pesto. See which markets they frequent at GeekEatsDeli.com. Laughing Stock Farm is a USDA Certified Organic farm in Sheridan that is dedicated to farming sustainably. Little Rock Urban Farming grows organic fruits, vegetables and flowers right in the heart of Little Rock. Visit them at Hillcrest Farmers Market or learn more about the group’s Community Supported Agriculture (CSA) program at LittleRockUrbanFarming.com. Jelly Madness, produced by the Martin Family Farm in McRae, satisfies cravings for sweets with its homemade jellies. Don’t miss adventurous flavors like Lavender Peach, Dandelion and Hot Pepper; sugar-free jellies are also available.